We created this fun card at my catalogue launch the other day. 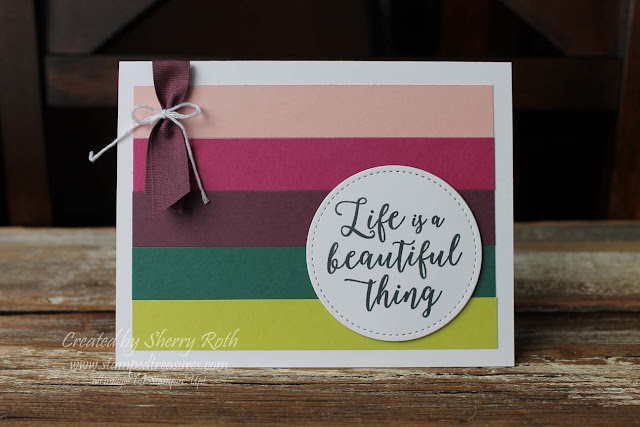 A really simple card but it really showcases the new in colours. I think it would be fun to recreate this card using an ombre look. I might have to give that a shot! What do you think of the new In Colors? Aren't they amazing? I especially love the Lemon Lime Twist, it is so different from any of our other colours! Sometimes it can be a bit of a challenge to introduce such a strong, bright color into the mix. 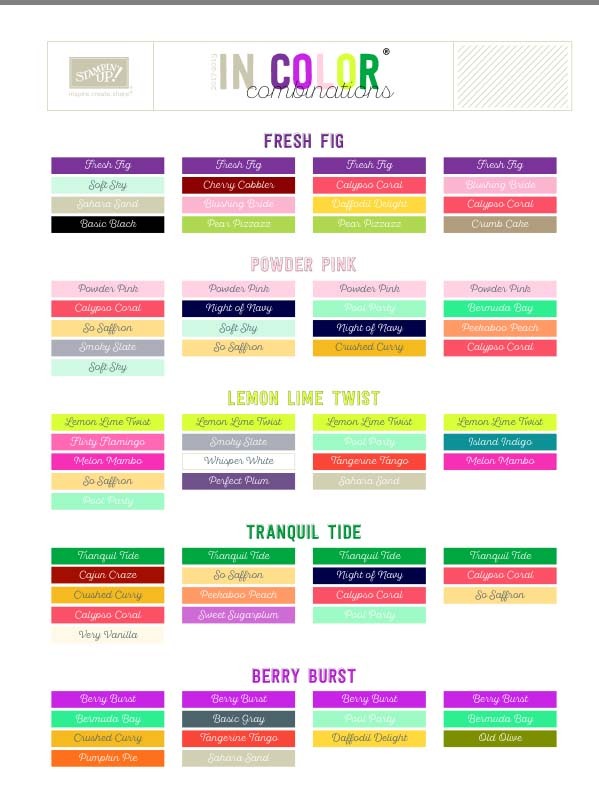 So here are a few color combinations for you to try using the lemon lime twist and the other 4 new in colours. I think my all time favorite way to use the lemon lime twist, so far, is with black and white. It just pops and looks so stunning!